Converted to a high standard mixing contemporary style with traditional stone building and features, Fernyford Barn is a luxury, fully equipped self-catering accommodation set on a working farm and run by our family. We did our best to make sure that our holiday cottage is a perfect blend of modern facilities and good old country comfort and cosiness. 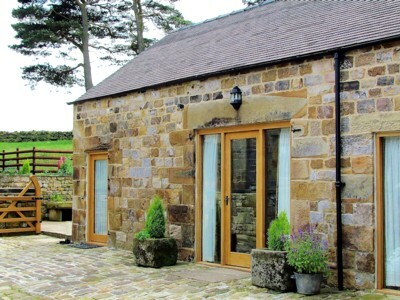 Sleeps 4 (+1) in 2 bedrooms and is ideal for couples and families. A warm welcome for babies and children. 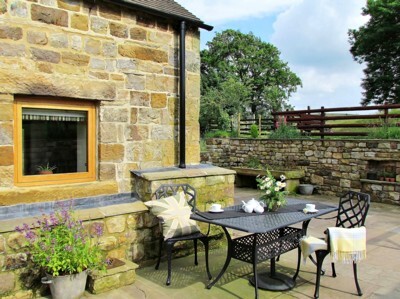 Fernyford Barn is the perfect accommodation for a relaxing country holiday - set in the glorious Peak District countryside. Great for walking, cycling, bird watching and the many attractions of the Peak District including Chatsworth House and Alton Towers. "I have found the location ideal for all of the sight-seeing I planned in and around the Peak District." Karen K.
Fernyford Barn offers a perfect balance between being able to completely unwind, or, if you prefer, getting involved with the day to day life of a working farm! We will be happy to offer our guests the opportunity to experience seeing the livestock on the farm, the different farming operations throughout the year and to taste quality meat produced on the holding. "We can highly recommend the farm meat!" Alastair & Janine G.
Fernyford Farm is a traditional farm, and we love living here. This is a great part of the world, and we would really enjoy being able to share it with our guests. So, we look forward to welcoming you here on the farm! If you have any questions please don't hesitate to get in touch. We look forward to hearing from you! "We have had a brilliant stay in a wonderful place!" Andrea, Dean & Eloise F.
To read what our guests said about their visit to Fernyford, please see our Testimonials page.